America Online Inc., the world's largest Internet service provider, will pay $1.25 million in penalties and costs and reform some of its customer service practices to settle an investigation by Attorney General Eliot Spitzer's office. Around 300 consumers had filed complaints with Spitzer's office accusing AOL, a wholly owned subsidiary of Time Warner Inc., of ignoring demands to cancel service and stop billing. The company, with 21 million subscribers nationally, rewarded employees who were able to retain subscribers who called to cancel their Internet service. For years, AOL had minimum retention or "save" percentages customer service personnel were expected to meet, investigators said. The employees could earn tens of thousands of dollars in bonuses if they were able to dissuade half of their callers from ending service. That led many employees to make it difficult for consumers to cancel service or simply ignore such requests, Spitzer spokesman Brad Maione said. As part of the settlement, Dulles, Va.-based AOL agreed to eliminate any requirements that its customer service representatives maintain a minimum number of "saves" in order to earn a bonus, a policy in place at "various times since 2000" and record all service cancellation requests. It will verify the cancellation through a third-party monitor, investigators said. "This agreement helps ensure that AOL will strive to keep its customers through quality service, not stealth retention programs," Spitzer said in a statement. AOL, which cooperated with Spitzer's office, did not admit to any wrongdoing in the settlement. The company also agreed to provide up to four months of refunds to all New York consumers who claim their cancellation requests were ignored. 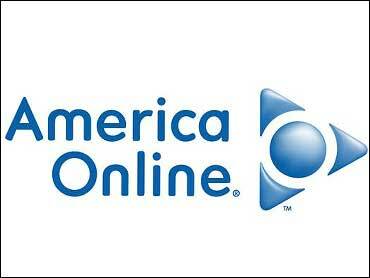 AOL has 1.9 million subscribers in New York. New York consumers seeking refunds can obtain a claim form from the attorney general's Web site. "AOL is pleased to have reached an agreement with the state of New York on customer care practices that will increase quality assurance, and assist with the verification of certain member intentions online," said AOL spokesman Nicholas Graham. The company in April agreed to pay $75,000 for costs and make refunds to a "small number" of customers in Ohio after reaching a settlement with that state's attorney general, Graham said. In September 2003, America Online agreed to improve the way it deals with customers who want to cancel their Internet service to resolve federal allegations that the company used unfair billing practices. The Federal Trade Commission settlement also required AOL and its subsidiary, CompuServe Interactive Services Inc., to keep promises for delivering rebates for online services.